Disclosure: I participated in the Amwell blog program as a member of One2One Network. I received compensation but all opinions are my own. Going on vacation is always so exciting, but it never fails, someone in our clan always gets sick. Whether its the baby running a fever, my husband getting a stomach bug, my big boy getting an ear infection, or me getting a migraine or sore throat.. a vacation just means someone is bound to need medical care. While we’re fortunate enough to have insurance, finding a doctor in an unfamiliar area isn’t always the easiest feat. I was beyond excited when I heard about an opportunity to use Amwell. 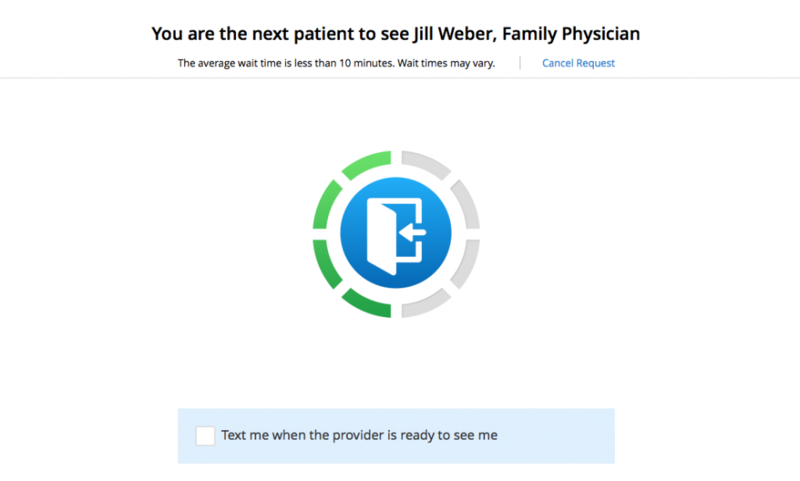 We were heading on vacation and while I was hopeful everyone would stay healthy, having a doctor on call -at my fingertips- took some of the stress out of the trip. 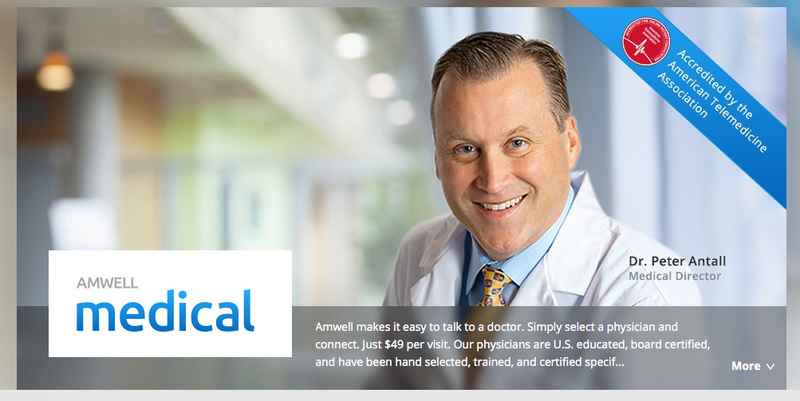 American Well (Amwell) is the nation’s largest telehealth company, connecting users with board certified, licensed doctors for immediate and live, online visits – day or night, on either mobile or desktop. 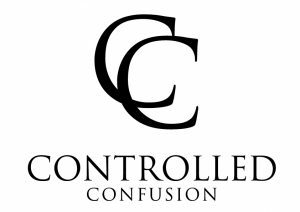 Some general conditions doctors encounter include: minor illnesses and injuries, general health and wellness concerns, prescription refills, and chronic condition management. Amwell employs primary care and specialist physicians, as well as licensed behavioral therapists and registered dietitians, to meet patients’ health and wellness needs. Amwell doctors are available 24 hours a day, seven days a week, and are dedicated to keeping you healthy – all from the comfort of your home. While on vacation, we spent a lot of days out in the sun. I have a spot on my cheek and I noticed it became increasingly darker one evening. Since I’m a nervous nelly, I figured this would be the perfect time to call Amwell. Setting up the appointment was super easy! And you can even access it from your phone! 1. Make sure your computer is ready. 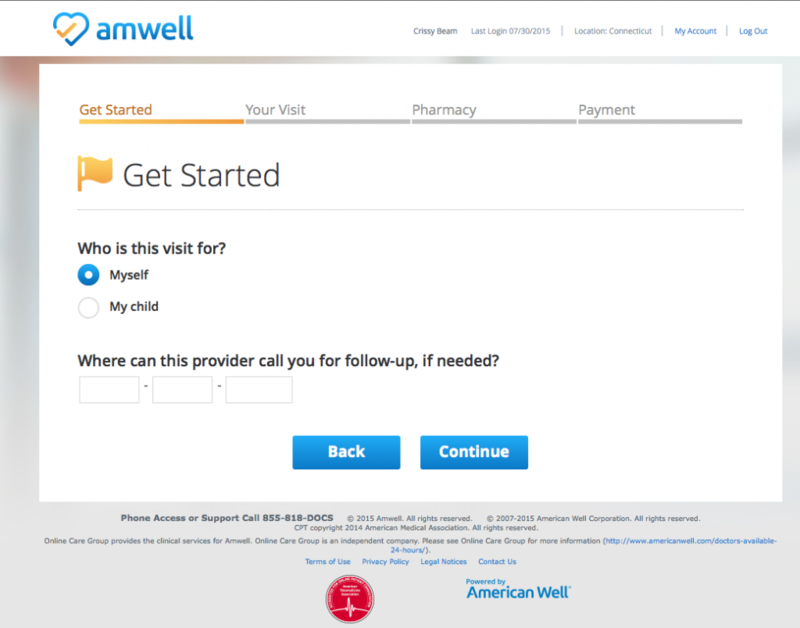 Amwell provides their own test that is simply a couple clicks. If there is something you need to install, they give step by step images that makes it foolproof. Once sound and video pass the test, you are good to go! 2. I logged in and filled out my health information. I was even able to add my local pharmacy. Dr. Weber came on and made sure I could hear her okay. She was super nice and asked the reason for my call. I explained to her my concern about the sun spot and what I noticed over the past few days. She asked if I would mind to email her a picture of the spot so she could take a good look at it, but gave me assurance that it did not sound alarming. We were able to use the online chat to exchange email addresses. She then verified my phone number (previously entered) and said she would give me a call after she took a look at it. I emailed her the picture and 8 minutes later I received a response stating the medical term for my sun spot. She reassured I should not be alarmed, sent me a picture of someone that had the same spot, and said she would call me in a few! My cell phone rang a few minutes later and she went over exactly what the sun spot is and what it means. She did suggest that I go to a dermatologist for a routine check up since I’m fare skinned. PLUS she gave me awesome tips on what the dermatologist could do to get rid of the spot. 6. Follow up Notes automatically included in your Amwell chart! I received a report about my visit for my records and I can even take it to my dermatologist at my visit. 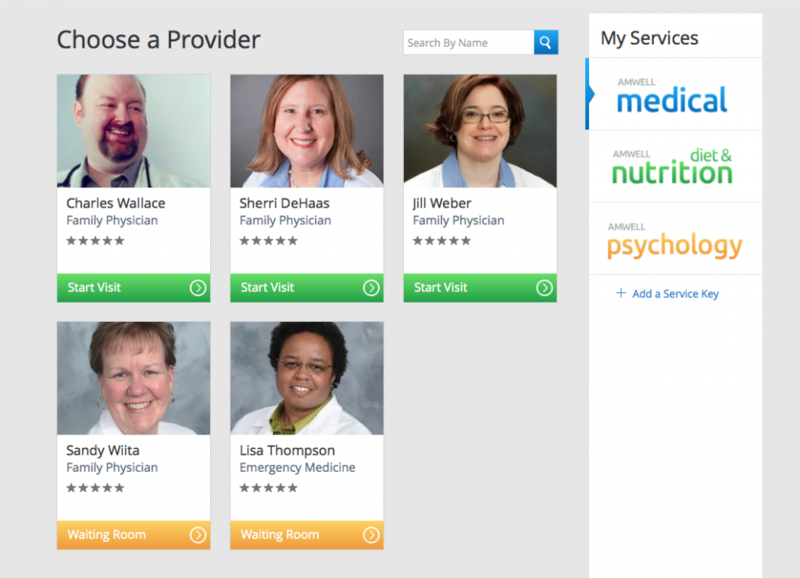 You can also view your recent providers and see if they are available (if you need a future visit). I was so impressed with my visit. Dr. Weber made me feel like she had an established relationship with me and was so thorough in her diagnosis! Not only is Amwell great when on vacation, but its perfect to use during after hours and weekends when your doctors office is closed! 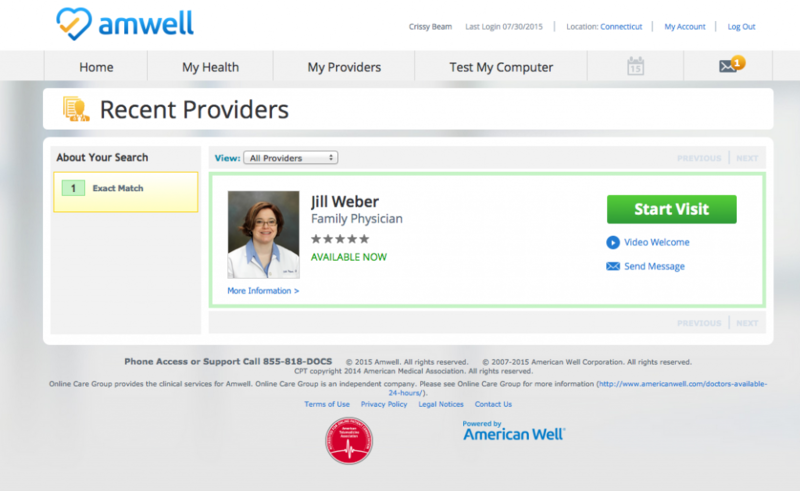 YOU can now try Amwell yourself for FREE!! 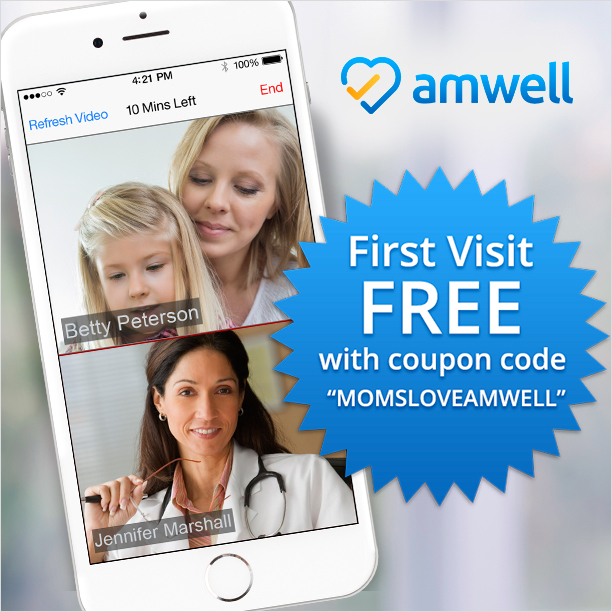 Use the coupon code: MOMSLOVEAMWELL and get your first visit FREE! 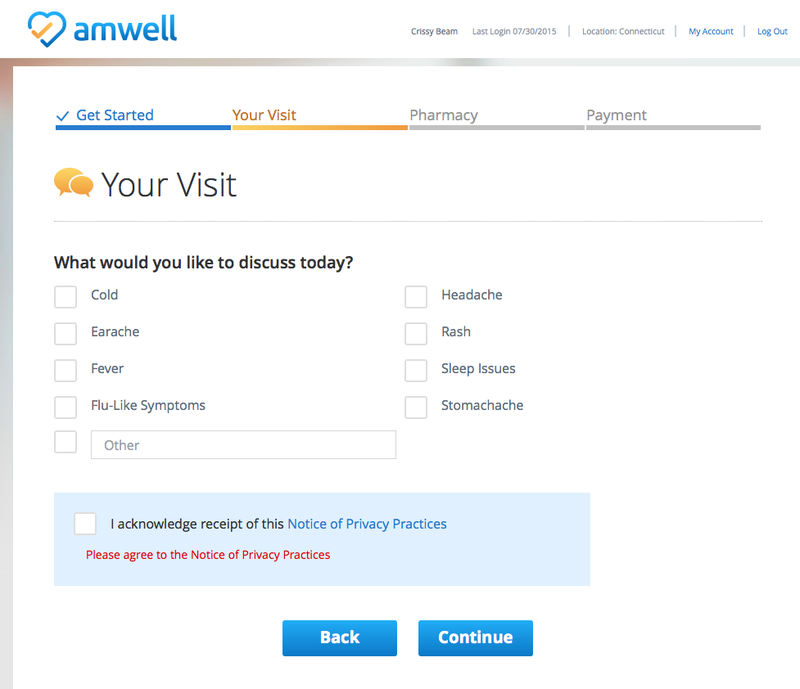 How will you use Amwell?